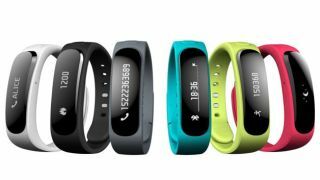 Huawei has unveiled the TalkBand B1 over at MWC 2014 - a wristband with a 1.4-inch flexible OLED display. Its main focus is fitness, and it promises to track sleep patterns as well as steps taken, calories burned and so on. As well as the wrist-based business, the TalkBand B1 comes with a detachable Bluetooth earpiece that you can use for taking calls. The device supports Android 2.3 and up, and iOS 5.0 and up. It should hit shop shelves in parts of Europe, China, Russia, the Middle East, Japan and Latin America from March 2014.